Call us for all of your pool service needs! 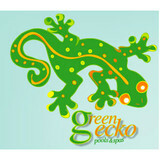 Green Gecko Pools & Spas has been serving both residential and commercial customers in the suburbs of Chicago since 2003. The company owner, Matt, has over 20 years experience within the pool industry and is out on every job! We specialize in servicing in-ground swimming pools and spas/hot tubs. Some of the services that we offer: openings/ closings, weekly maintenance, gas heater repair/ replacement, equipment repair/ replacement/ upgrades, troubleshooting, renovations including: sandblasting/ painting/ tiling/ coping, custom winter safety cover measurement and installation, in-ground liner replacement - (PLEASE NOTE: WE DO NOT PROVIDE ABOVE GROUND LINER REPLACEMENT). Call today to discuss your project, schedule a free estimate or to receive more information about our services! 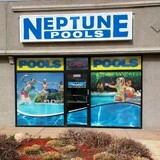 Northern Illinois most innovative Swimming Pool Company. We are a family based company located in Woodstock, Il. It’s the area’s Quality Swimming Pool Contractor of choice. We work one on one with our customers specializing in Pool rehabs and Pool repairs. Building Practical living environments as well as an added investment to be enjoyed for years to come. 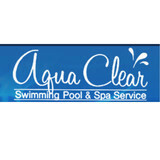 We at Aqua Clear continually strive to adhere to the highest standards and to give you the most value for your dollar. All of our technicians are factory trained and certified to keep abreast on the newest technology in the industry. Aqua Clear is on call 24 hours a day to provide you the comfort of always knowing that Aqua Clear servicemen are there to help. Whether it is an opening, closing, chemicals, maintenance, repair or complex rehab, we have the knowledge and experience to get the job done and we will exceed your expectations. For repairs, maintenance and help, Aqua Clear offers 24 hour emergency service 365 days a year. We maintain a fully trained staff throughout the year and always have the same technician to perform all your pool needs from year to year. Since 1975, Aqua Clear is still a member of The Association of Pool & Spa Professionals -the industry's leading trade associations committed to the excellence within the swimming pool & spa industry. Aqua Clear is also an accredited business with the Better Business Bureau. We use authorized factory trained services and products which include Pentair, American, Kelly, STA-RITE, Polaris, Jandy, Raypak, Loop-Loc, Meyco and many more. We service in-ground swimming pools, vinyl liners, safety covers, automatic covers, hot tubs and spas,waterfalls, automatic pool cleaners and much, much , more. Dependable Swimming Pool Service, Inc. is a family owned and operated business. We have been serving the Grayslake, IL and Lake County area since 1969. We have grown from a maintenance company operating out of a one-car garage to a 2,200 square foot retail showroom. Besides providing pool maintenance, we carry BioGuard pool chemicals, SpaGuard spa chemicals, Royal spas, Doughboy above ground swimming pools, gazebos and AromaSpa steam capsules. We also carry a full line of pool and spa accessories, pool toys, ladders, pool heaters or just about anything else you may need for your pool or spa. Our goal is to educate our customers, which is why we pride ourselves on our knowledgeable, friendly staff. Come in and see Alex and our new Spin-Lab. We're more than just a retail store or service center; we're your locally owned and operated experts in pool and spa care! Dependable Swimming Pool Service serves more than just Graylake, we also provide service to Libertyville, Gurnee and North Shore, IL. Feel free to contact us about our service schedules or if you have questions. We provide residents of South Elgin, North Shore and Northwest Suburbs, IL with in ground pool services at a reasonable price. Our dedicated professionals have decades of experience and are trained to provide you with the solutions you need – at the price you deserve. Maintaining a healthy pool means maintaining a healthy home. Nobody wants to go swimming in a dirty pool and who really wants to clean it right before they go in. Give us a call and we can set up regular maintenance, pH checks, chlorine, leaves, debris cleanup, pumps, filters, heaters, retiling, plastering, opening and closings and so much more. Make your pool inviting every day so you and your family can enjoy it whenever you want. We offer regular scheduled maintenance for swimming pools and pumps so you don’t have to worry about swimming in dirty water. We listen to the needs of our customers and work with their schedules to provide excellence in customer service. Safe, quality pool covers since 1975! Our safe, quality pool covers are individually designed to fit your pool perfectly! Whichever Rayner cover you choose, you will have peace of mind knowing your pool is child-protected. We've got your spa covered! Choose from a wide variety of Customized spa covers including the Rayner Designer, Premier and Economy Series ~ as well as ~ our Freeform and Floating Spa Covers. Russo's Pool & Spa Inc. Welcome to RUSSO’S Pools · Spas · Outdoor Living, your pool and spa experts serving Chicago, Elmhurst, Wheaton, Bloomingdale and the surrounding areas since 1988. Family-owned and operated RUSSO’S Pools · Spas · Outdoor Living offers a number of services designed to help create a beautiful outdoor oasis you can enjoy for years to come. When it comes to bringing your backyard to life, you can trust the experts at RUSSO’S Pools · Spas · Outdoor Living will provide quality pool and spa construction services, superior customer service, and top of the line products and equipment. If you have found me, your probably sold on a fiberglass pool. I have installed everything except concrete pools and I think it is the best choice especially if you don’t need a lot of depth. In fact, it is the only segment of the pool market that is growing. The trend is smaller swimming pools, less maintenance, a quicker installation and trading pool size for more features. Fiberglass is best for all of these reasons and because of the free form designs. Another trend is people are willing to put more sweat equity in their home projects to save money. Although I still do complete swimming pool installations from start to finish, about half the time I am only installing the shell and the homeowner is subcontracting out the concrete, buying and installing a portion of there own equipment and want to learn how to winterize and open their own swimming pools. I am fortunate to be the Northern Illinois, Southern Wisconsin and Eastern Iowa distributor for Trilogy Pools. Although I have installed shells from other manufacturers, in my opinion Trilogy Pools offers the best combination of quality and price. Eve’s Apple Therapeutic Day Spa, L.L.C. Eve’s Apple Therapeutic Day Spa, a restful, eco-conscious oasis nestled in Palos Heights, Illinois. Experience spa treatments designed to meet your needs including natural nail care, specialty pedicures, reflexology and therapeutic massage. 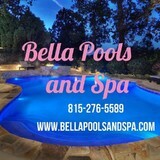 We are a full service swimming pool and spa company. No job is too small! 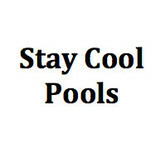 We provide quality service from the time we open your pool to the time we close your pool and everything in between. What should I look for when hiring a pool cleaning service in Glenview, IL? Pools and hot tubs are big investments, so you’ll want to make sure to protect them by hiring an expert who cares about them just as much as you do. Check that the Glenview swimming pool maintenance service you are interested in actually specializes in the type of pool you have — chlorine and salt water pools have very different needs, and in-ground versus above-ground pools will require different upkeep and repair methods. Also, know who will be doing the repair or service; if it’s one of the larger swimming pool services in Glenview, IL, request that you get same person every time, otherwise you could get inconsistency in treatments. Good Glenview pool professionals will keep a consistent schedule and log everything they do so that it can be referenced in the event that you switch companies or something does go wrong. Like any other professional, look for local pool cleaning companies near you with plenty of good reviews and relevant experience. Find a Glenview, IL swimming pool repair and maintenance specialist on Houzz. Narrow your search in the Professionals section of the website to spa and pool maintenance companies in Glenview, IL and read reviews and ratings for pros in your area.